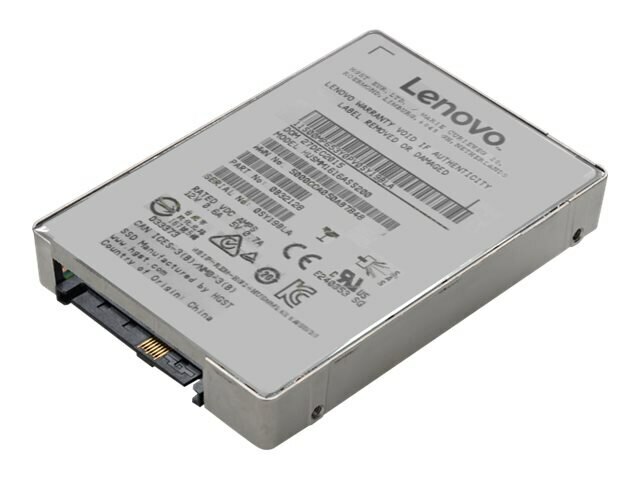 This Lenovo 800GB ThinkSystem HUSMM32 SAS 12Gb/s Performance FIPS 3.5" Hot Swap Solid State Drive is a high-performance self-encrypting drive adhering to the Federal Information Processing Standard 140-2 (FIPS 140-2) cryptographic standard. Self-encrypting drives provide the ultimate in security for data-at-rest and help reduce IT drive retirement costs in the data center. When combined with the compatible RAID controllers, SED drives in Lenovo servers deliver a cost-effective, secure solution for businesses of all sizes. Self-encrypting drives are also an excellent choice if you need to comply with government or industry rules regarding data privacy and encryption.